The supervisors now have one week to weigh the merits of it, and the resolution will come up for debate and vote at the next full board meeting, August 15. If you live in <?xml:namespace prefix = st1 ns = "urn:schemas-microsoft-com:office:smarttags" />San Francisco, contact your supervisor and ask him or her to vote for this crucial resolution. 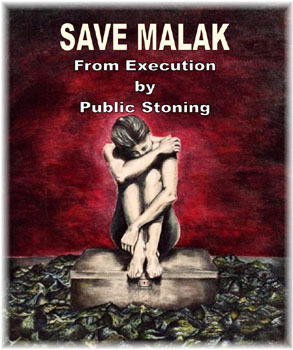 I wish to call everyone's attention to the efforts of Ms. Lily Mazahery, an Iranian American lawyer advocating to save the lives of women in Iran facing death by stoning. Ms. Mazahery has launched a web site about these women, and has also interviewed the lawyer for Ashraf Kolhari, and the transcript of their talk is posted here. Resolution urging the United States Department of State to condemn the Islamic Republic of Iran's execution by stoning of Abbas Hajizadeh and Mahboubeh Mohammadi and the impending execution by stoning of Ashraf Kolhari and Malak Ghorbany. Many thanks to Lily Mazahery, who helped draft the resolution, Ross Mirkarimi, the other Supervisors, the many City Hall staffers and the Mayor, all of whom have expended tremendous political capital and energy on behalf of ending all executions in Iran and the USA. Let this resolution from San Francisco be the first of many across the land.